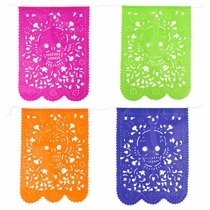 Our festive Mexican papel picado banners and flags will add colorful southwest flair to your fiesta. 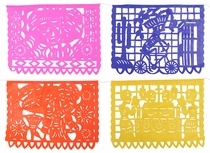 These paper and plastic festive banners are commonly displayed for special occasions such as Easter, Christmas, Dia de los Muertos, weddings, birthdays, quinceañeras, baptisms and more! 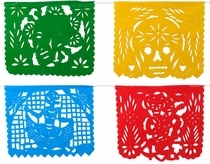 Choose from our die-cut paper and plastic picado banners with Mexican folk art, southwest or Day of the Dead themes. 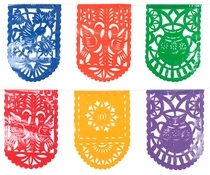 These accordion banners and fiesta flags are all made in Mexico. 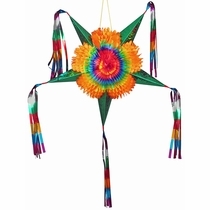 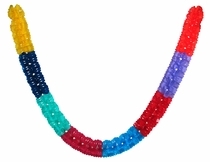 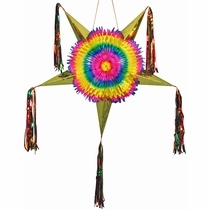 These Mexican decorations are a wonderful addition to any celebration.